The Funky Felter: Not one, but TWO artsy craftsy events going on this weekend in the Kansas City area! Not one, but TWO artsy craftsy events going on this weekend in the Kansas City area! If you live in the Kansas City area there are two great events going on this coming weekend! 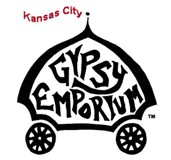 On Saturday, March 20th, Gypsy Emporium will be at the Madrid Theatre in Westport. It is free to attend, and there will be fun for the whole family including artists, crafters, music, and activities throughout the day. Click here for complete details and directions. There is also the MOPACA Invitational Alpaca Show this weekend at the American Royal. Stephen and I went last year and had a blast! There are more alpacas than I've ever seen in one place before. It also has alpaca shows and other events throughout the weekend as well as some alpaca and other fiber vendors. It is very family friendly too with many kids of all ages attending.